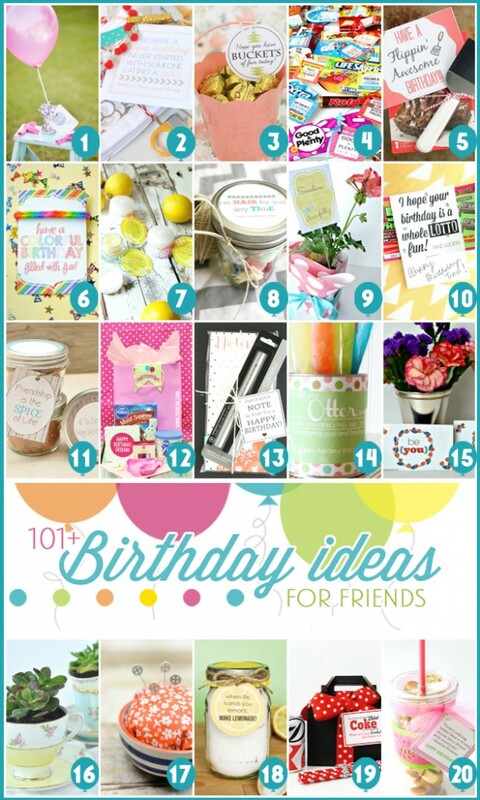 101+ easy birthday gift ideas and FREE printables! 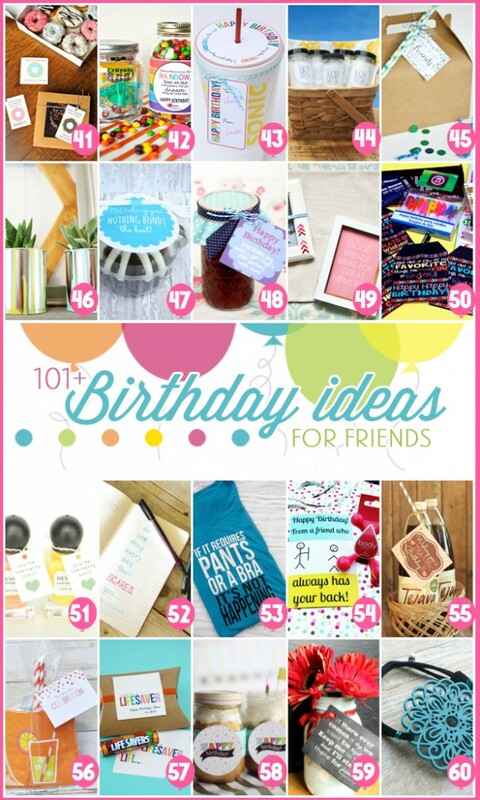 I’m excited to share today 101+ Birthday Gift Ideas for your Friends! 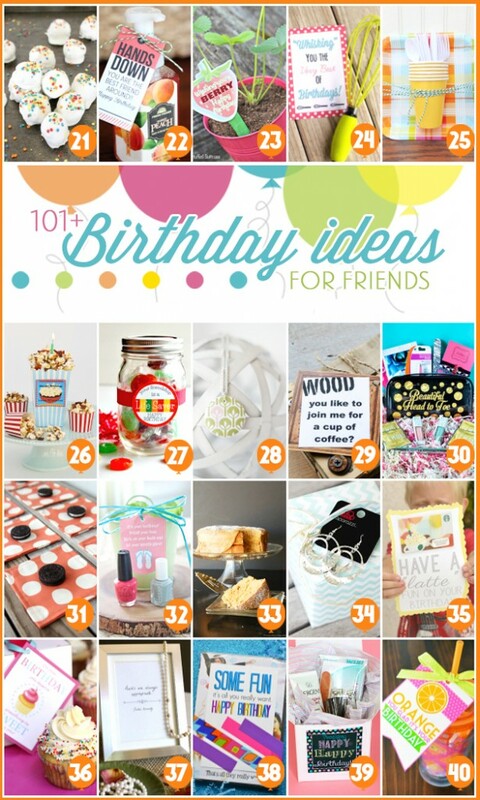 I was all for thinking of fun, inexpensive gifts you could have on hand for a friends birthday. 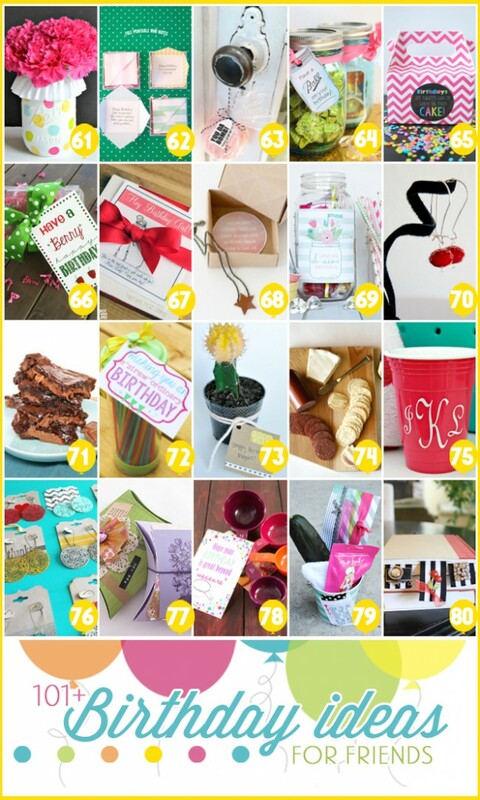 I’m sharing my “buckets of fun” quick and easy gift idea! I am always seeing adorable tin buckets at the dollar section at Target. That’s where I grabbed this cute coral scalloped bucket-for $1 to boot. It was the perfect size for a bag of chocolates to fit in-who wouldn’t love some chocolate? After those are gone (for me, that would take maybe a day…), you could use the tin for some cute crafty storage! Download my FREE printable here-In 6 different colors, of course. the better to match any bucket you find, my dear. If you do download them, please if you don’t already, take a minute to follow my blog in some capacity-Facebook, BlogLovin, Instagram, etc…Thanks!! 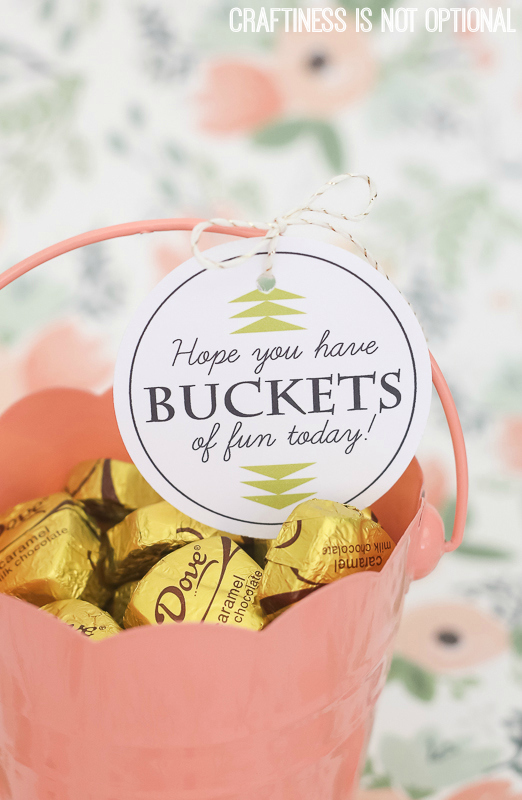 Of course, you could fill the bucket with other fun goodies! Nail polish, chapstick, a cute pair of socks, gift card, movie tickets, cute pens, lotions….the list is endless! I love a good pun 😉 Totally cute and perfect to drop off to a friend! I would love a bucket of chocolate any day! Great roundup! Love this #birthdaygiftidea hop! Thank you so much for sharing this idea! 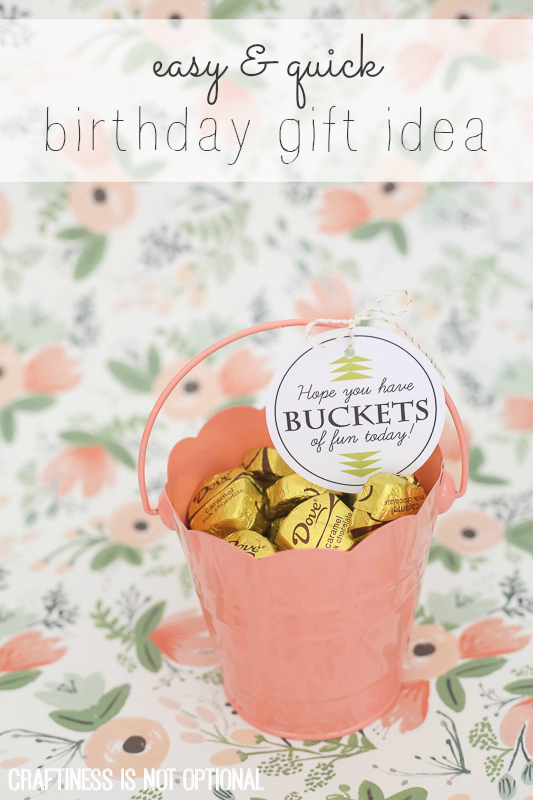 I will be using the cute bucket idea with the adorable printable! Liked you on Facebook! I think I’ll tie some fabulous balloons to the bucket too and drop it in my friend’s front porch on her birthday! Wish I could post a pic for you! 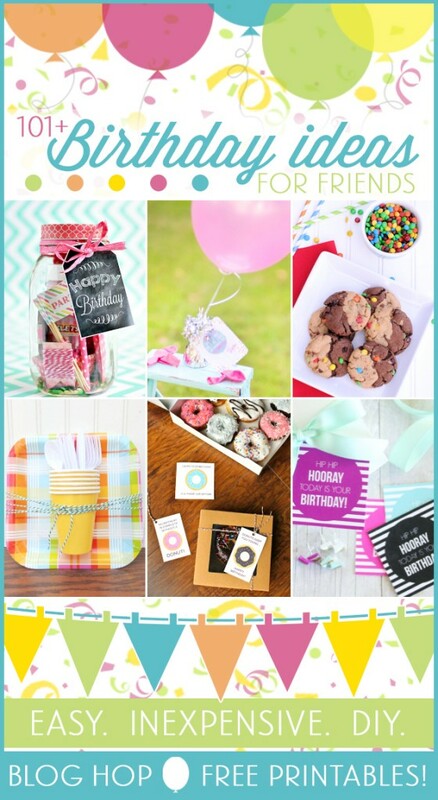 I was able to use your bucket idea and your printable! Tied some super cute balloons to the top! Cannot wait to surprise my friend with this sweet gift! Thanks!!!! Shared your blog on the Happier app too!